Whenever we going to purchase a new laptop, the first thing that comes to our mind to get a laptop protection as a priority such as backpacks, briefcase, etc. 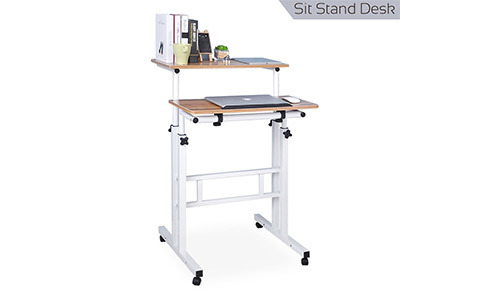 We always try to search which are traveling light and stylishly for a daily business can be very challenging especially when we working in a small or mobile office or place. For women, the choice or shopping are endless and can be very time to consume which is not ideal for a busy executive. 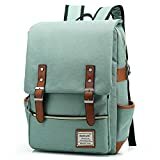 So, instead of spending many dollars and your precious time of looking for the right bag, we did some work and found the top 10 best laptop backpacks for women in 2019 ranking from 10 to 1 which are budget-friendly choices to pick from, these bags are ideal for utility and support to give you a peerless style. So, without consuming more time lets have a look on these backpacks. 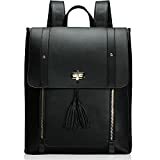 Estarer is a China-based company and this backpack is beautifully designed and made of faux leather (PU leather) which is a great material with a dimension of 13x4x16 inches which are very suitable for carrying your stuff like Laptop, books, etc. in a school, college, travel, shopping, weekender, etc. 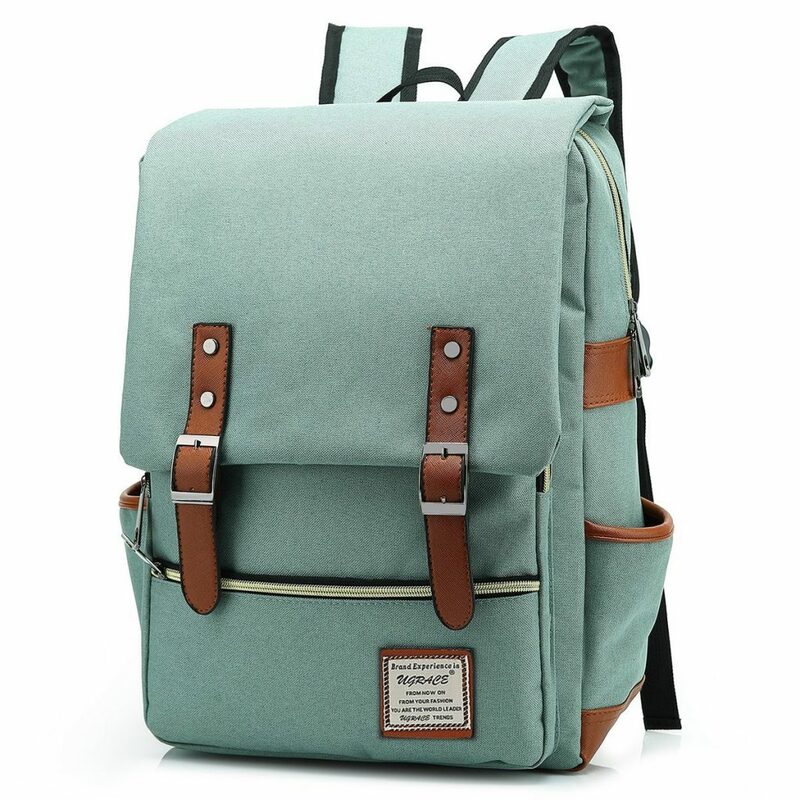 This backpack has front buckle pocket and rear zipper closure pocket and has total 7 pockets. This bag contains a lot of space to hold the stuff of women for a daily need like 15.6-inch laptop, books, iPad, notebooks, wallet, cosmetic products, lunchbox, etc. It comes in various colors. 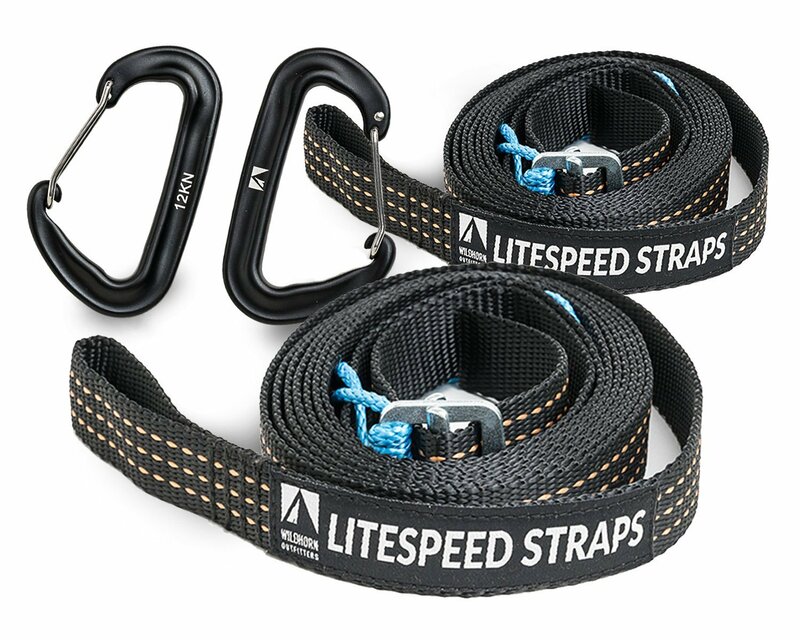 It is very light in weight (around 2.2Lbs) with wide straps. Light-weighted, so many pockets, and able to carry 15.6” laptop, etc. If you are going to buy a backpack for yourself and gift it to someone with a perfect combination of style, design, and function then Kjarakar Backpack is for you. It is made of lightweight water-resistant polyester. It has a dimension of 15.7×10.6×6.7 inches. It carries dual zippers that allow you to lock items up for security. Its front flap also connects with a magnetic snap which gives you a sleek design. It has patent non-slip shoulder straps with comfort padding and the back is also padded for your extra comfort. 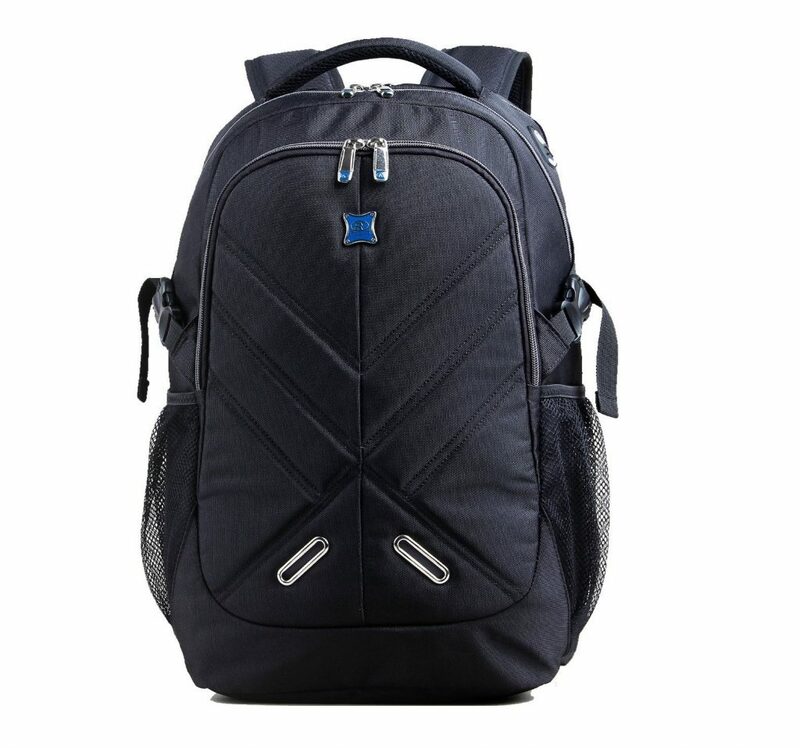 The main thing about this bag is that its rear vertical zipper provides a quick access point to the main compartment. It is totally a waterproof bag in which you can easily carry your electronic gadgets and some other stuff as well. 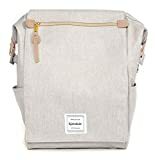 This bag is very versatile with a quality of fabric which you found both inside and outside of the bag and able to use it in a various number of ways from diaper bag duty to traveling anywhere you want. This bag is great for multi-purpose work. It designed with a premium very lightweight tear resistant Oxford fabric and quilted polyester lining which gives you a very elegant, casual, and vintage style suitable for sports, school, hiking, trekking, and for daily use as well. As it carries total 5 compartments which expands with 1 main pocket with sleeves of a laptop in which you capable to carry a 15.6-inch laptop, 2 front zipper pocket with a fashionable flap which is very suitable for smartphone, wallets, tablets, magazine, and other stuff. 1 pocket on each side of the bag for bottle and umbrella respectively. 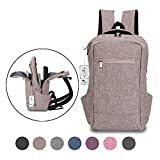 It has a broad soft adjustable shoulder strap to carry with a perfect fit under the magnetic snap belt flap, a cotton material finishing keep your bag safe from outside damage with a PU leather made a belt, Zipper, high-grade metal, and corner décor. It is totally water repellent made with Nylon and PU leather. 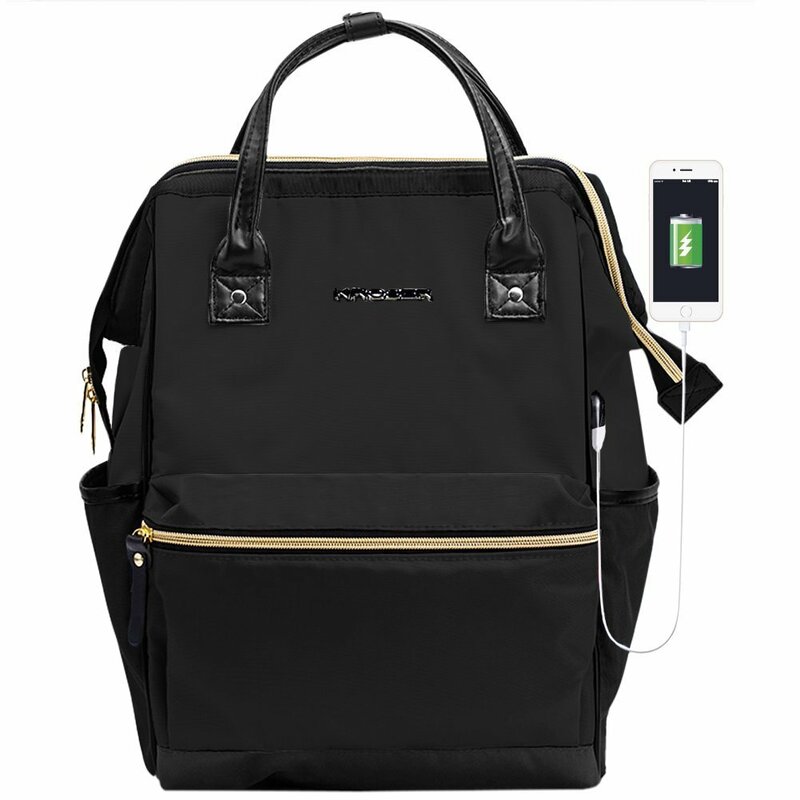 The important thing about this bag is that it has built-in USB Port which is very useful to charge your phone or laptop by the connected your portable power bank. You can also take this bag as a carry bag. 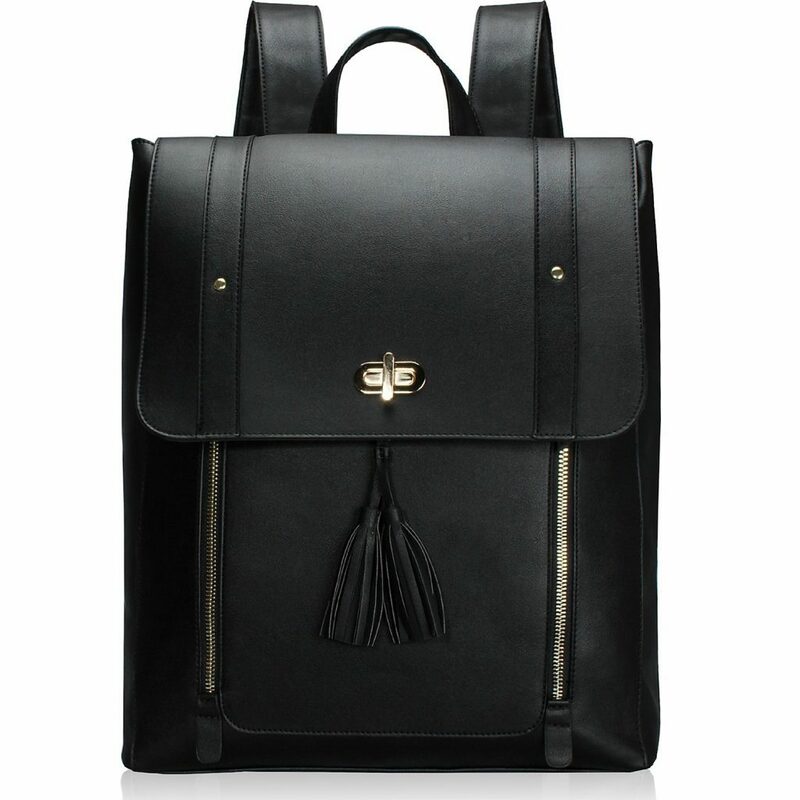 A black leather puller is in fashion these days and zipper and side pockets give the bag a simple, elegant design. Its reinforced edges and a frame of steel of the main compartment keeps the bag in a perfect shape and makes it durable. It has 1-year manufacturing warranty. Good for the students of school and college with a casual design. It is made with a high-quality canvas with a dimension of 11.8×16.9×5.5 inches that are really suitable to carry 14-inch Laptop. 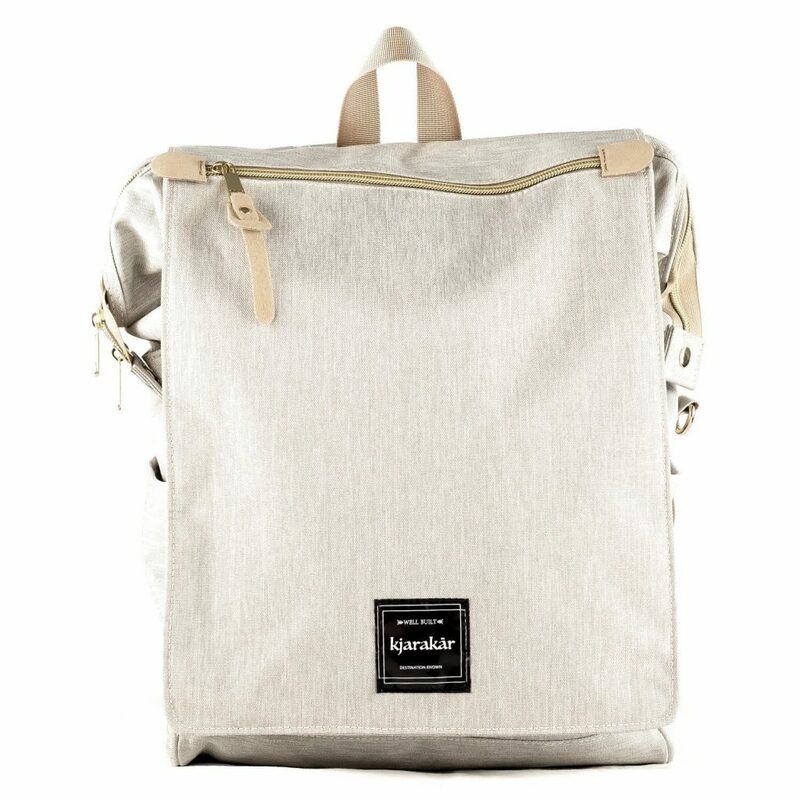 It has many pockets in the main compartment in which you can carry your all daily stuff. This bag has a great carrying capacity design. It is made of Durable and Water resistant polyester fabric with metal zippers that ensure you a long-lasting usage for daily needs. It has a feature of Built-in USB port in which you can charge your cell phone and MacBook/Laptop with the help of your portable power bank in a convenient way. It has an elegant design for a casual look and thick soft multi-panel ventilated padding with adjustable foam padded shoulder straps that make your shoulder free from stress. 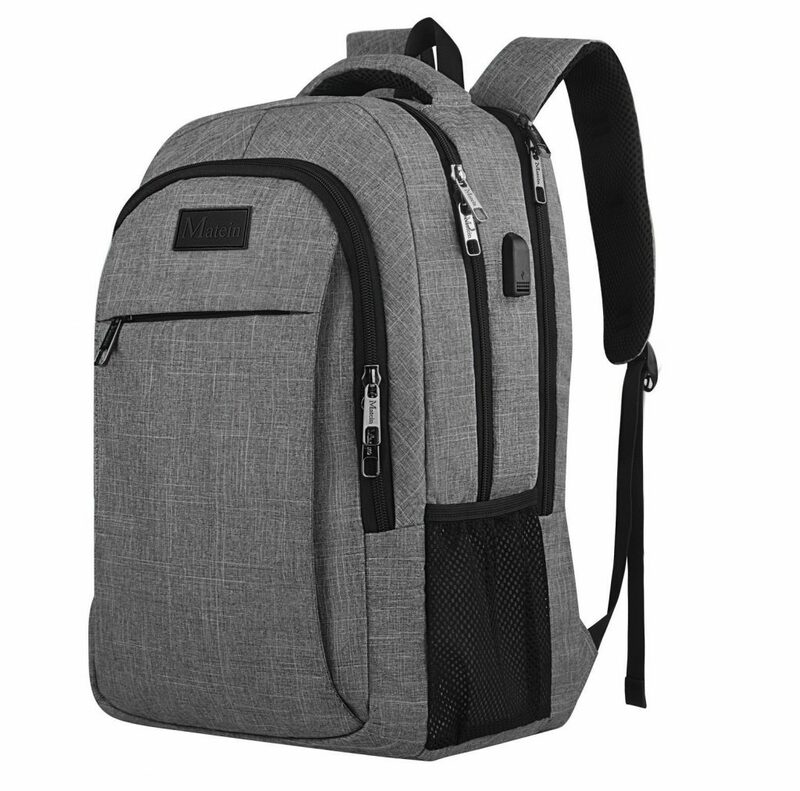 You can fit this backpack in your luggage or suitcase and it can easily hold a 15.6-inch laptop or MacBook easily. 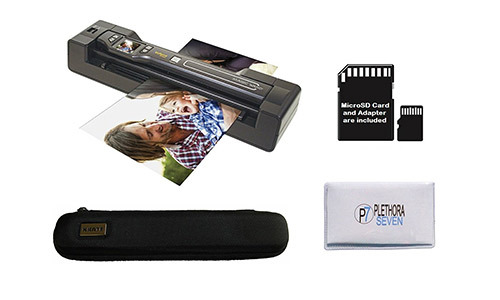 It has a hidden anti-theft pocket which is very useful to protect your important items from thieves. 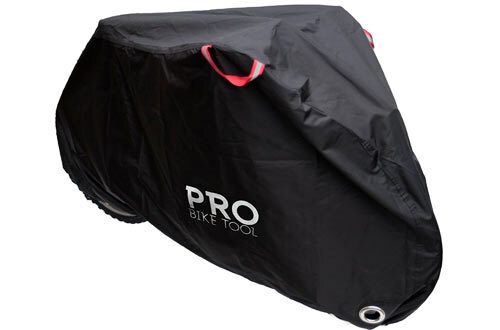 The bag is made of waterproof fabric with a closure of Velcro and full-sized special airbag to secure a laptop or other important stuff against an electric shock, scratches or bumps. It has Ergonomic S-shape full-padded shoulder straps which are very comfortable to our shoulders. 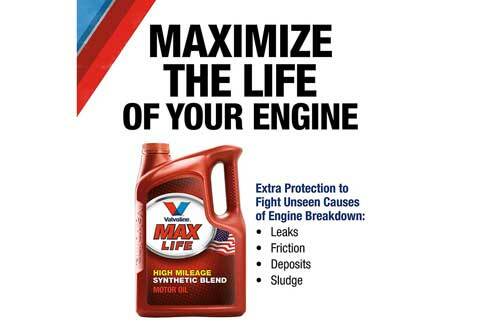 It has a hassle-free 6 months warranty for new replacement. The bag has assorting pockets for laptop, water bottle, wallet, books, etc. and very convenient to use it in day-to-day life such as in schools, college, business, work, etc. It is made with lightly insulated and weather resistant reversible jacket from a quilted exterior to a smooth run. It is made in the USA and durable water repellent is also applied on the face and edges of the fabric to provide us a safety against a wet weather or able to secure your valuable items. Its Zipper closure is machine quilted and totally insulating to trap hot air to reduce a heat loss. You can easily wash this bag at home with help of a machine. 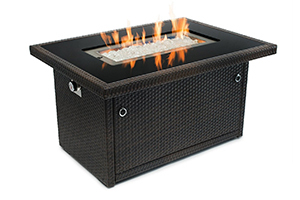 It carries a lifetime warranty which is very good. Waterproof, Wind Resistant, Breathable, Weather resistant. It comes with a simple and decent protective padded design without any pattern and comes with a lightweight of 1.32lbs which you easily carry throughout the day. It has a dual compartment that carries many valuable items and there is very broad space for the laptop in a large front side pocket. 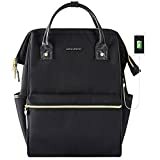 His custom-fit design makes this bag more comfortable and his shoulder strap is padded design with flexible attachment points so that women can adjust its shape and size. Adjustable straps, Durable, Dual compartment. 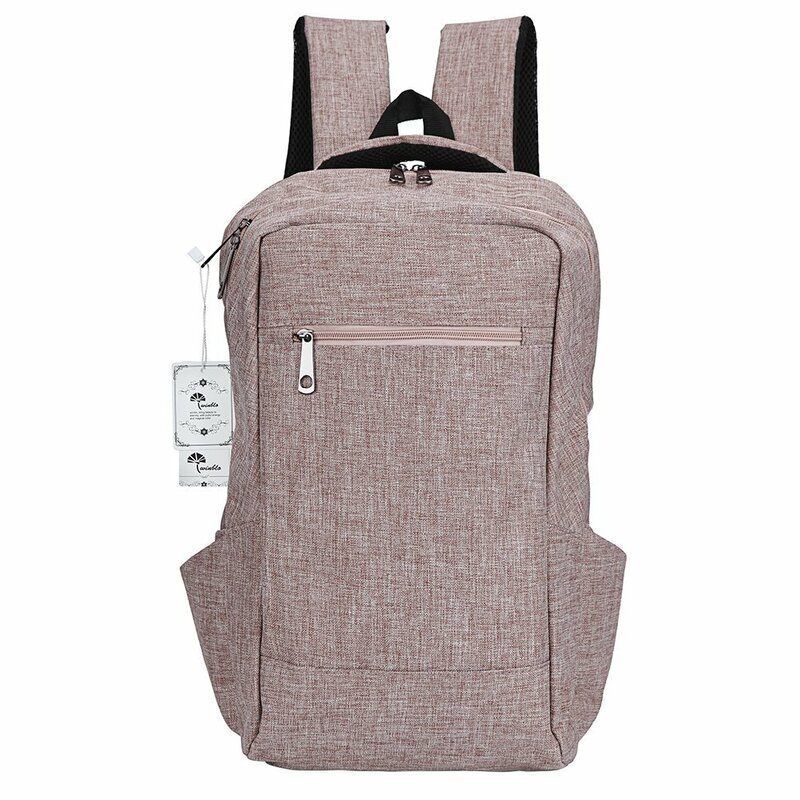 Kingslong is a company that a specialized in backpacks, made with linen polyester and has anti-tear characteristics with a scratch resistant fabric that provide safety to our valuable items against scratches. It has 3 main zipper compartments. The bag easily holds the laptop of 15.6” or less. The suture line is made with the help of seven stitches per inch and on shoulder straps or body suture carries double stitching to prevent the strap from heavyweight. You can easily use this bag easily for vacations, travel, climbing, school, college, shopping, etc. 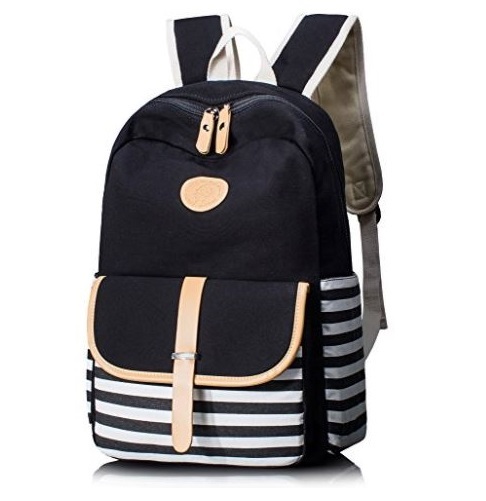 It also gives an elegant look as bag carry an anti-zipper design. You can clean this bag with a wet cloth as it dries naturally but does not wash it with liquid detergent or bleach. 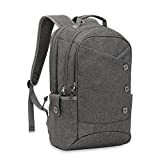 We discussed above some backpack for your laptop which is durable as well as affordable for your pockets and everyone wants a modern, elegant or vintage look in a bag. 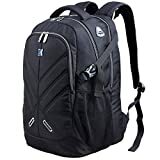 So if you fed up with your boring laptop backpack and wants to switch your backpack to the new one then the first thing which always considered is safety whether a bag provides safety for your laptop or not. 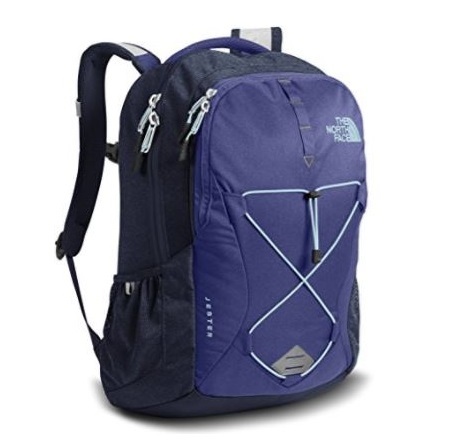 You also need to check the quality material used in making the backpack as it will affect its durability. You don’t want that kind of laptop backpack who just tear off in a few months. So, you can easily make a wise decision and any laptop backpack which we mentioned on the list above.